Designed to provide leverage for the plumbing work in close quarters. Four sizes are available. 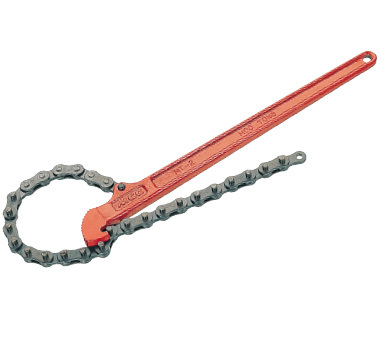 Heavy duty chain and drop forged handle provides many years of service. Auto-locking mechanism. Chain stays in position after setting the size.